Why do you think so many grandparents work hard to avoid care homes and stay with their families? Well, according to experts from Cayon Care Services and similar firms, that’s because people in their twilight years understand how crucial it is to be with their blood relatives. While friends might come and go during this life, your precious few family members will always remain at your side. Through thick and thin, those people will never judge you, and they will still provide support - even when you mess up. So, make sure you try your best to convert to that way of thinking if you want to be happy. The issue with worrying about things is that you use a lot of mental energy, and it makes no difference to the outcome according to specialists from HelpGuide.org. Let’s presume you have an exam tomorrow. You’re stressing about it all day today, but that isn’t going to improve your performance. If you spent all day today joking around with your friends or going on an adventure, you’d still score the same number of correct answers as you will do after stressing for twenty-four hours. If you take no other advice from your grandparents, just make sure you learn that worrying gets you nowhere. As the old saying goes, “the devil makes work for idle hands to do.” That is a saying many grandparents use, and one that rings true in lots of situations. There is a lot to be said for a hard day’s work and how it helps to maintain your inner health. Even if you come home with aching muscles and stinking to high heaven, you’ll feel like you accomplished something impressive with your efforts. According to many grandparents, some of the happiest people in the world work manual jobs every single day. The turn their bathtubs black when they slide into the water, and yet those people never feel stressed or unhappy. 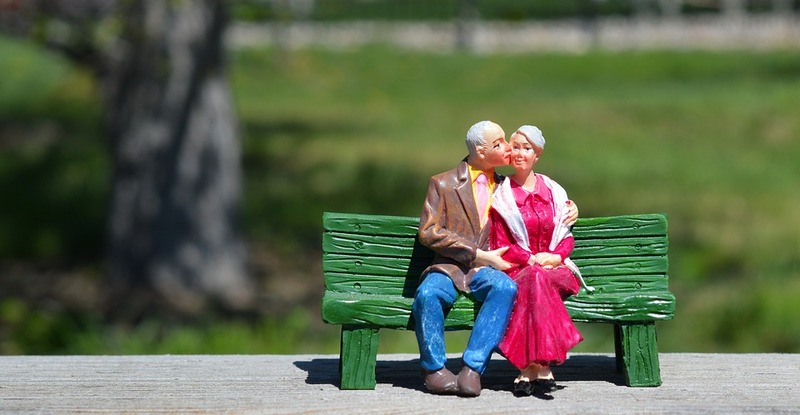 As you can see from the information in this post, grandparents and other older people can teach you a lot about finding happiness and living your life the right way. So, be sure to have a conversation with yours as soon as possible. If your grandparents have passed-on, you could always visit a local care home for the afternoon. The residents are glad to welcome guests in most instances, and they love having a chat.